Ian Fleishman is an Assistant Professor of German at the University of Pennsylvania. He holds a PhD in French and German Literature from Harvard University, having previously studied at the Freie Universit?t in Berlin, the Sorbonne Nouvelle and the école Normale Supérieure in Paris as well as at Middlebury College in Vermont. He has published articles in Comparative Literature Studies, German Quarterly, French Studies, The Germanic Review, Mosaic, The Journal of Austrian Studies and elsewhere on subjects ranging from the Baroque to contemporary cinema. 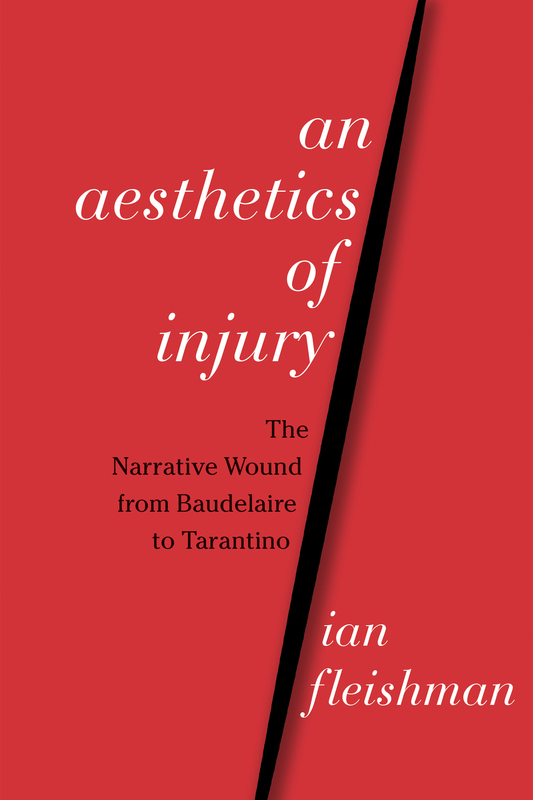 An Aesthetics of Injury: The Narrative Wound from Baudelaire to Tarantino, was the 2015 winner of the Northeast Modern Language Association Best Book Award. Examining representations of the open wound in the works of ten exemplary authors and filmmakers, his monograph exposes injury to be an essential aesthetic principle of twentieth-century narrative. Among other projects, he is currently co-editing a collected volume on the cinema of Isabelle Huppert. This year he is serving as Visiting Professor and Academic Director for the Berlin Consortium of German Studies at the Freie Universit?t. An Aesthetics of Injury exposes wounding as a foundational principle of literary and filmic modernism. Theorizing the genre of the narrative wound—texts that aim not only to depict but also to inflict injury—Ian Fleishman reveals harm as an essential aesthetic strategy in ten exemplary authors and filmmakers: Charles Baudelaire, Franz Kafka, Georges Bataille, Jean Genet, Hélène Cixous, Ingeborg Bachmann, Elfriede Jelinek, Werner Schroeter, Michael Haneke, and Quentin Tarantino. Violence in the modernist mode, an ostensible intrusion of raw bodily harm into the artwork, aspires to transcend its own textuality, and yet, as An Aesthetics of Injury establishes, the wound paradoxically remains the essence of inscription. Fleishman thus shows how the wound, once the modernist emblem par excellence of an immediate aesthetic experience, comes to be implicated in a postmodern understanding of reality reduced to ceaseless mediation. In so doing, he demonstrates how what we think of as the most real object, the human body, becomes indistinguishable from its 'nonreal' function as text. At stake in this tautological textual model is the heritage of narrative thought: both the narratological workings of these texts (how they tell stories) and the underlying epistemology exposed (whether these narrativists still believe in narrative at all). You can view and download Ian's curriculum vitae here. Feel free to email Ian or to connect with him on social media via the links below.